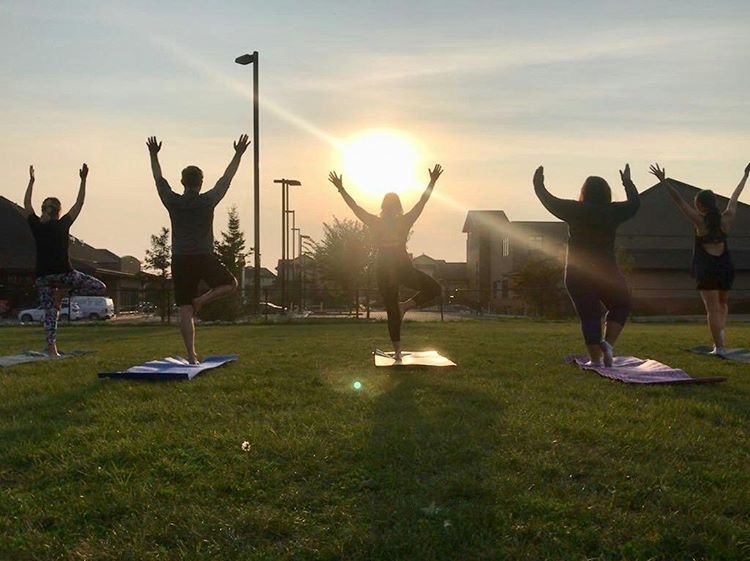 Beverly Heights is proud to offer yoga classes in 2019! Please see the details below. We do require a minimum number of participants to run this program. Please phone Crystal Boyde at (780) 289-0995 to pre-register. You must have a community league membership to participate – either from Beverly Heights, or your home league. Sarah Dery has been practicing yoga for over 8 years and was inspired to complete her 200 hour yoga teacher training to share the peace she found within her own practice with others. She believes that yoga can act as a grounding, self-care practice to balance our busy lifestyles. Practicing yoga and mindfulness helps bring people into the present moment and recharge from every day stresses. Sarah empowers her students to use yoga and mindfulness to take care of their minds and bodies both on and off the mat. She also advocates that practicing yoga is beneficial for every individual regardless of fitness level, age, or experience. Sarah will show you that one of the most beautiful parts of about practicing yoga is that each pose can be modified for the needs of the individual. Everyone is welcome in her classes, from beginners to experienced yogis. In her spare time, Sarah is also currently finishing her elementary education degree. She loves to read, stay active, practice muay thai and boxing, spend time with her loved ones, and of course, practice (and teach) yoga.